This Wednesday, March 13, Dr. Robert Kohrman, curator of: Drilling for Brine: The Dow Chemical Plant in Mt. Pleasant 1903 – 1930, will discuss his research at 7:00 pm in the Park Library Auditorium with a reception to follow in the Clarke. 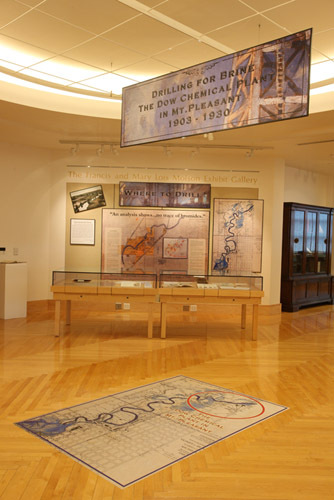 Dow Chemical’s Midland operations are well known, but the current Clarke exhibit tells the story of the Dow Chemical facilities in Mt. Pleasant. What brought Dow to Mt. Pleasant? It was brine -- water trapped underground that is mixed with various salts. In 1903, Dow drilled brine wells and built a bromide plant in Mt. Pleasant. By early 1904, bromide was being shipped from Mt. Pleasant to Midland. Despite investments in equipment during the late 1920s to meet the demand for brine, the Mt. Pleasant plant doors closed in 1930. 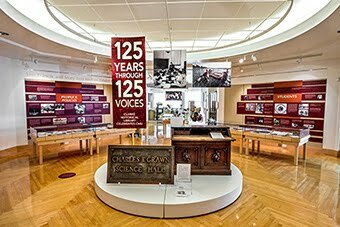 Visit the Clarke Historical Library through to see Drilling for Brine: The Dow Chemical Plant in Mount Pleasant 1903 – 1930 and join us for a presentation on the subject by Dr. Robert Kohrman this Wednesday at 7:00 pm in the Park Library March 13.